A quick update to say that a new game is on the Apple iOS AppStore. I always wanted to create a series of games featuring a young space cadet type hero. 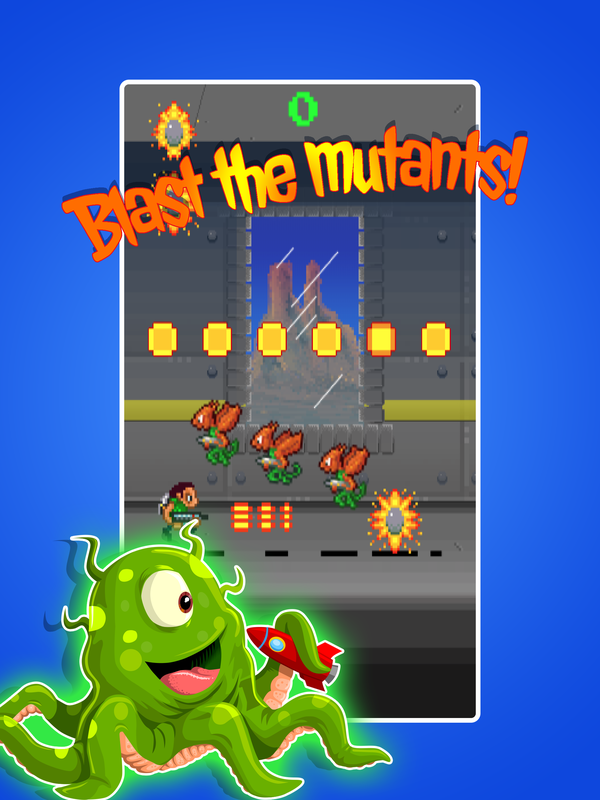 The premise of the game is pretty straight forward; shoot, jump and collect the goodies. I guess it’s an endless runner in that there is no structure to the game other than throwing obstacles down in front of you as you run. This is deliberate. Akari took a lot of work in developing the level structures and writing the tools to craft all of that. I wanted a break from that style of development. Jetpack Joyride provided a little inspiration for Kyle. It’s a game I’d played and enjoyed for some time. Even down to the cute and cartoony visuals. But my visual style is more of a pixel art style. With The Toxic Laboratory I wanted every element to be fun. 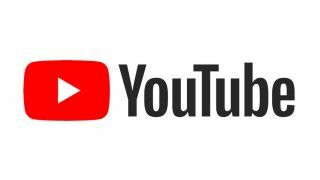 The jump > shoot dynamic was something I’d used before and enjoyed. It allows for the game being operated with a single tap to the screen. 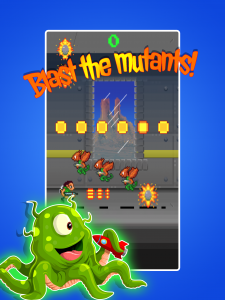 As you tap the character jumps and shoots simultaneously. The first tap is a tiny jump but if you follow it up quickly with a second tap the character effectively takes off. Having mastered that dynamic I drew a jetpack onto the character’s back and added smoke puffs to help illustrate the action. Once Kyle’s character is off the ground you can ‘fly him’ for quite a stretch. Which is pretty cool as there’s plenty of floating goodies to collect. 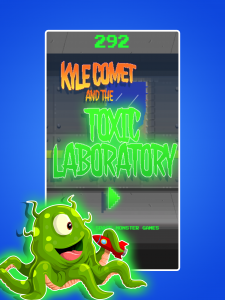 A follow up to The Toxic Laboratory is in development just now; Kyle Comet and the Lost Moon. The Lost Moon adds platforms and more of a platformer mentality to the action. 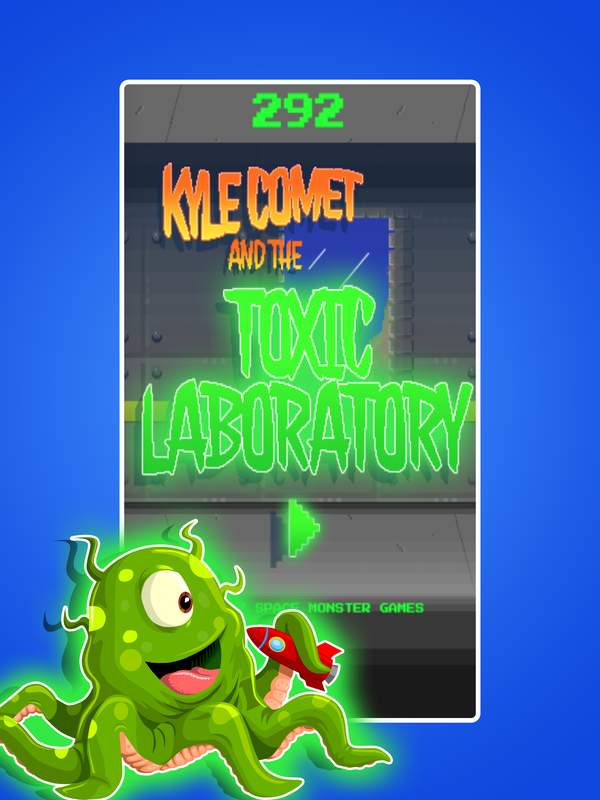 Kyle Comet and the Toxic Laboratory is available now on the iOS AppStore.